For today’s big family do I made a fruit torte. 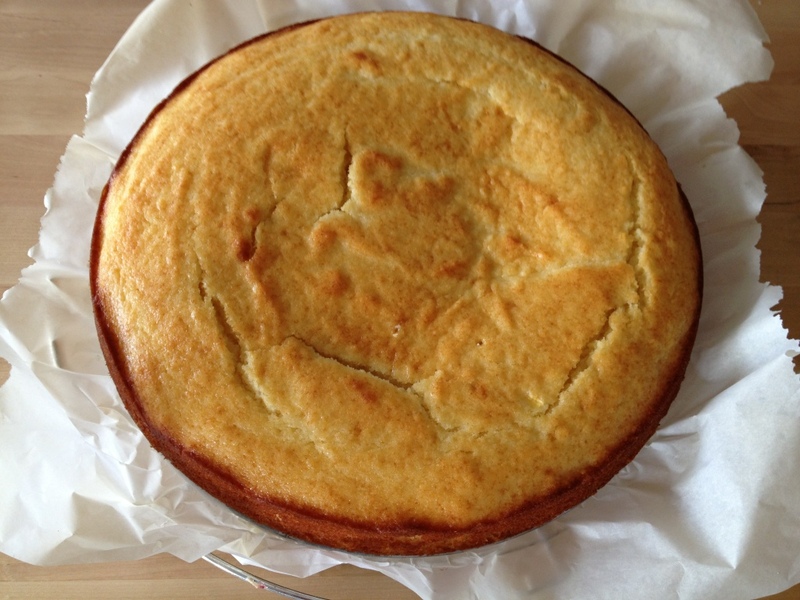 For the base I made a ricotta cake and cut it in two (after leaving it to rest overnight). 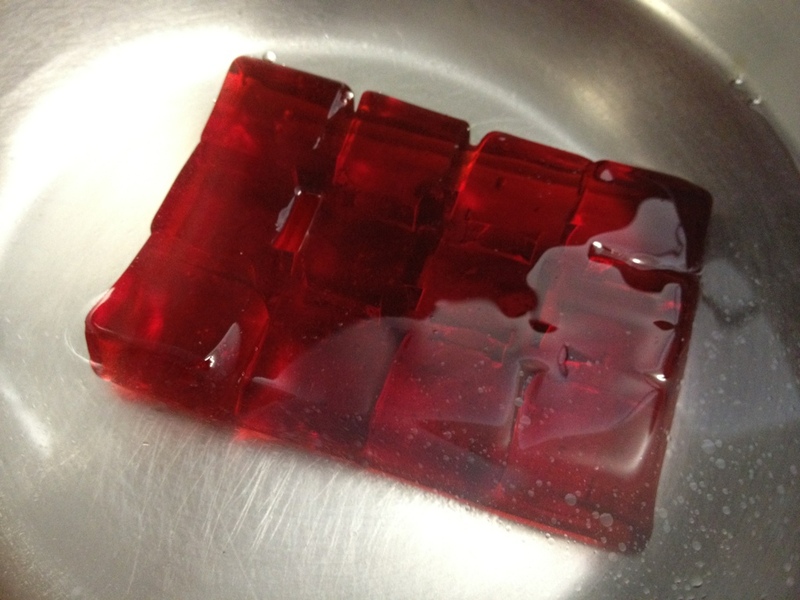 I took the idea for the filling from a unidentifiable magazine snippet and dissolved a packet of raspberry jelly according to the instructions. Once it had set I whisked in 150g curd cheese. 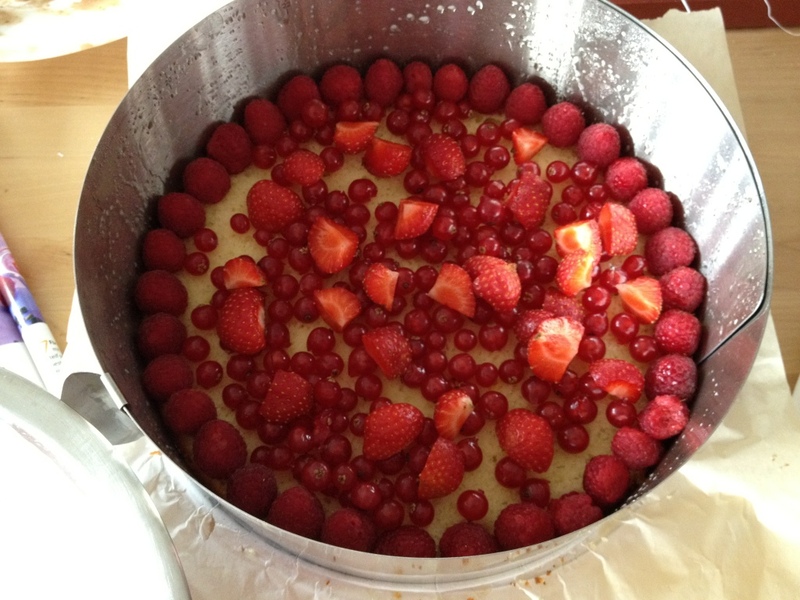 I left that to set and sprinkled raspberries, redcurrants and strawberries on the bottom half of the torte. 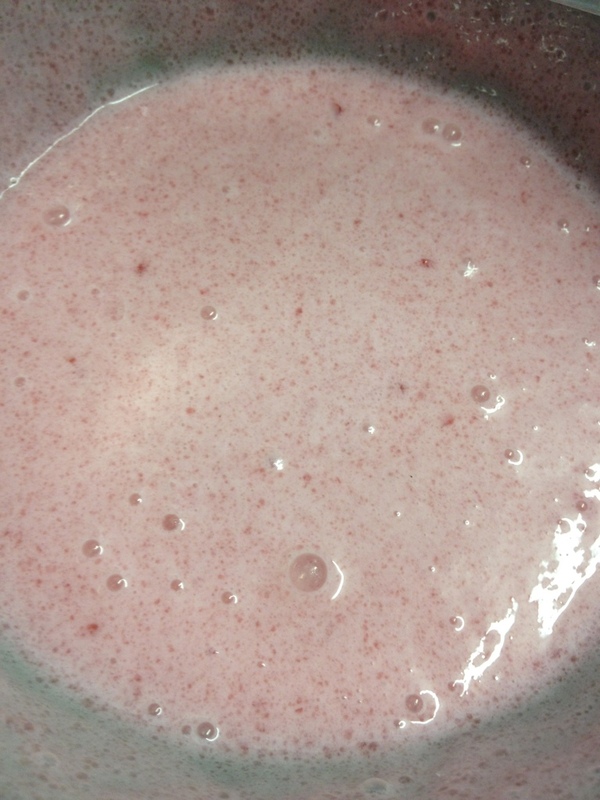 Next I whisked 400ml heavy cream, folded it in with the jelly/curd mix and poured it over the berries. 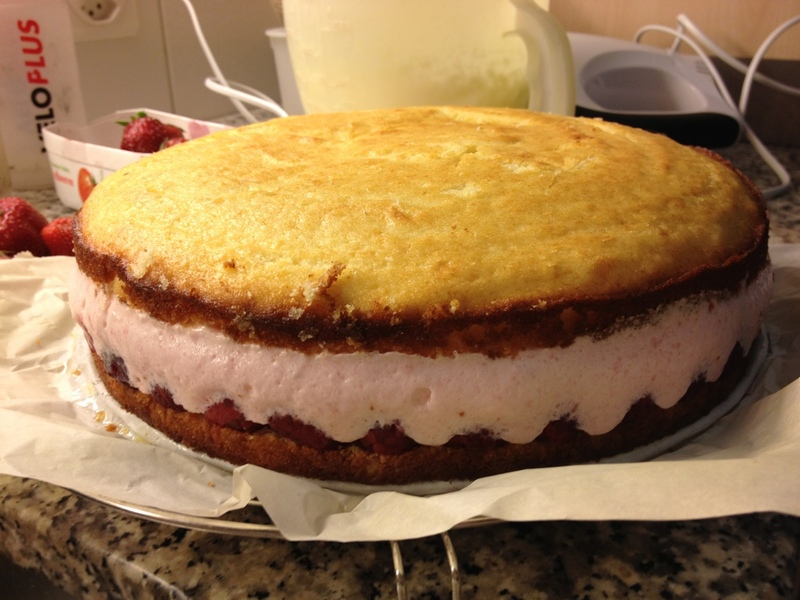 Then I put the top on the torte and packed it into the car to finish it off at my parents’ home. Luckily it survived the roadtrip. 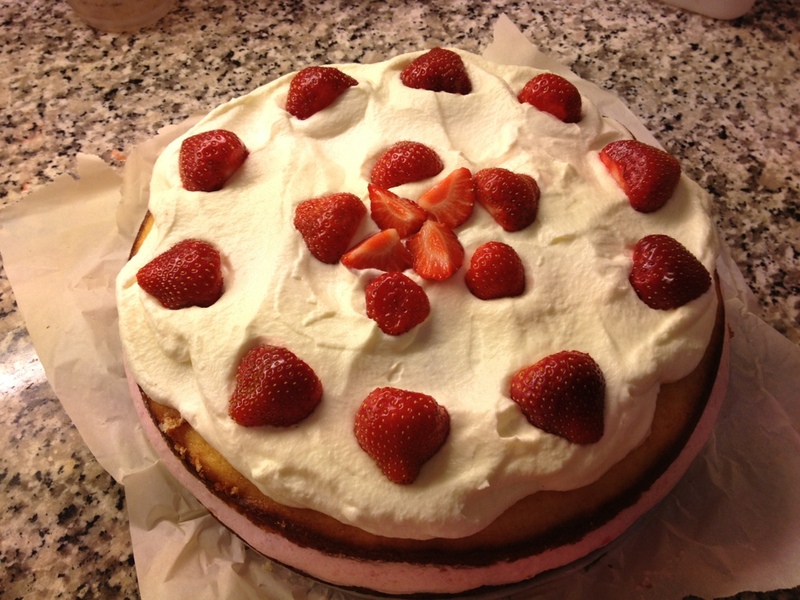 I garnished it with whipped cream and strawberries and fed it to the sweet toothed masses. It was all gone before I could take another picture.